Why doesn't the RealTimes (or RealPlayer) library display the thumbnail images for the videos I downloaded? 1. Click the Windows Start button and type "disk cleanup" in the search field. Press enter. 2. Check the box next to Thumbnails and click/tap on OK.
3. Click/tap on Delete Files. 4. 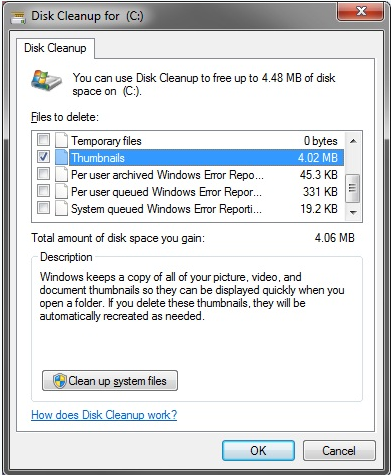 Disk Cleanup will now clear the thumbnail cache and close. 5. Restart your computer. The thumbnails should now appear in your RealPlayer Library.